Poster presented at the 47th Annual Drosophila Research Conference, Houston, Texas, USA.. In the 15 years since the last family-wide taxonomic analysis of the Drosophilidae, many studies dealing with a limited number of species or groups have been published. Most of these studies were based on molecular data, but morphological and chromosomal data continues to accumulate. Here, we present a new phylogenetic hypothesis for the Drosophilinae based on more than 120 recent studies. 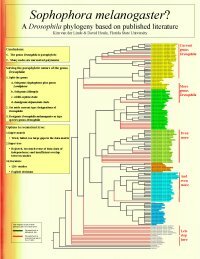 Our knowledge about the phylogeny of the genus Drosophila and the related genera has greatly improved over the past decades. Many nodes are firmly supported by the existing literature. It is now clear that the genus Drosophila is highly paraphyletic and we will discuss the options to solve that problem. On the other hand, we also draw attention to various unresolved polytomies that remain. 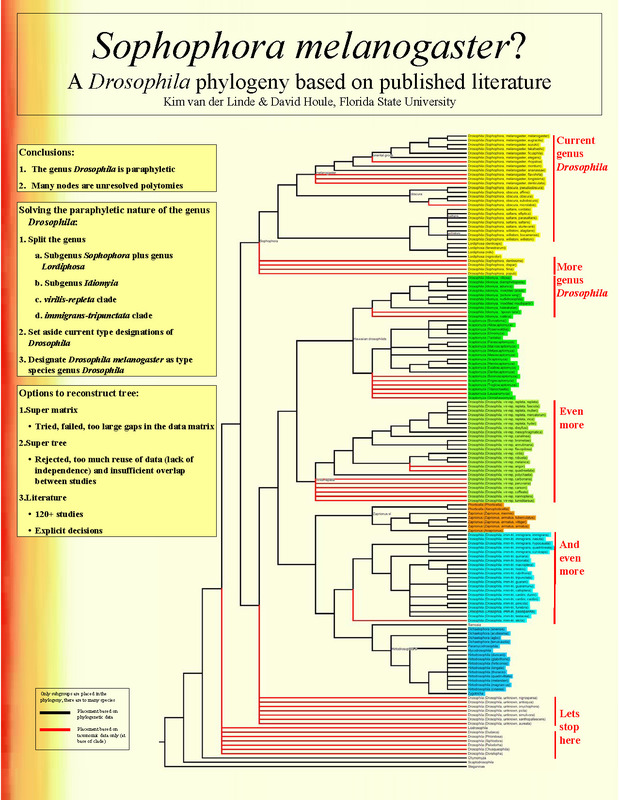 Despite the progress in drosophilid phylogenetics, much work remains to be done.